Textile reinforced concrete (TRC) has emerged in recent years as an attractive new high performance cement-based composite. Textiles can significantly improve the mechanical behavior of cement matrices under static and dynamic conditions, and give superior tensile strength, toughness, ductility, energy absorption and protection against environmental degrading influences. Flexibility with fabric production methods enables the control of fabric and yarn geometry. This, along with the ability to incorporate into the fabric a range of yarns of different types and performances, as well as cement matrix modifications, enables design of the composite to a wide range of needs. The book is intended to provide a comprehensive treatment of TRC, covering the basic fundamentals of the composite material itself and the principles governing its performance on a macro-scale as a component in a structure. It provides in-depth treatment of the fabric, methods for production of the composite, the micro-mechanics with special attention to the role of bonding and microstructure, behavior under static and dynamic loading, sustainability, design, and the applications of TRC composites. 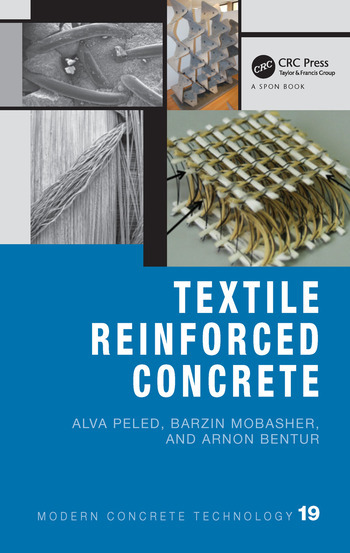 "The book promises to be a great addition to the existing publications on the subject of textile reinforced concrete."